The streets are impeccably clean, courtesy of an army of ever vigilant cleaners, and it’s unlikely you’ll have any trouble with pickpockets or muggers. Minsk is extremely orderly, but if you do happen upon a rally or protest, try to look disinterested and leave quickly; most end in arrests. Belarus isn’t like anywhere else. Its villages remain frozen in time – circa 18th century – while central Minsk stands as a monument to Soviet planning at its most ‘inspired.’ Wide avenues span the city, giving majestic views; their colonnaded facades lit spectacularly at night and refreshingly devoid of billboard advertising. Testament to the capital’s attractiveness is the local obsession with promenading, come rain, snow or hail. Few would deny that a stroll through the capital’s centre lifts the spirits. If you want a chance to ‘study’ the locals, then joining them in pounding the pavements is the way to go; you’ll have seen half the city’s population by day’s end. No doubt, you’ll be struck by Belarusian women’s glamour; they are always impeccably, one might say provocatively, dressed and are often very beautiful. Once you’ve taken a turn down Karl Marx, Lenin and Engels Streets, why not take a look at the KGB building on Nezavisimosti (Independence Avenue); don’t take a photo or you may get to see the inside too! October Square has its own grandeur; flanked by the looming Palace of the Republic and the classical prettiness of the Trade Unions’ Culture Palace, it’s used for open-air concerts in summer and becomes an outdoor ice-rink in winter. 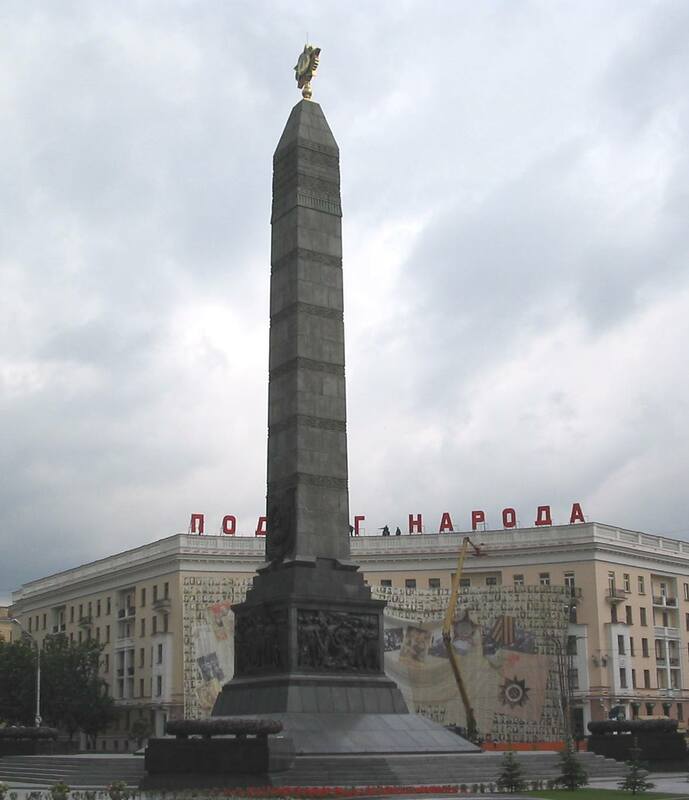 Continue on to elegant Ploshad Pobedy (Victory Square); its tall obelisk and eternal flame have a commanding dignity. Nearby, at 2 Kisleva St, you can see the building where Lee Harvey Oswald lived in his 20s (Oswald was the man who shot President John F. Kennedy). Walk along the River Svislach to the Troitsky Suburb – the ‘old town’ rebuilt after the destruction of the Second World War, in colourful 19th century style. There are several attractive churches here too. In warmer weather, enjoy a beer at one of the outdoor cafes. The Afghan monument on the Isle of Tears is another sombre reminder of young lives lost. Newly-weds queue to lay flowers and have their photos taken here. A visit to Minsk’s Great Patriotic War Museum (October Square) is essential to gain some understanding of the horrors older Belarusians still remember. Most sobering are the photos of public hangings and those from POW camps. Maps set out the Nazi’s target figures for exterminations. 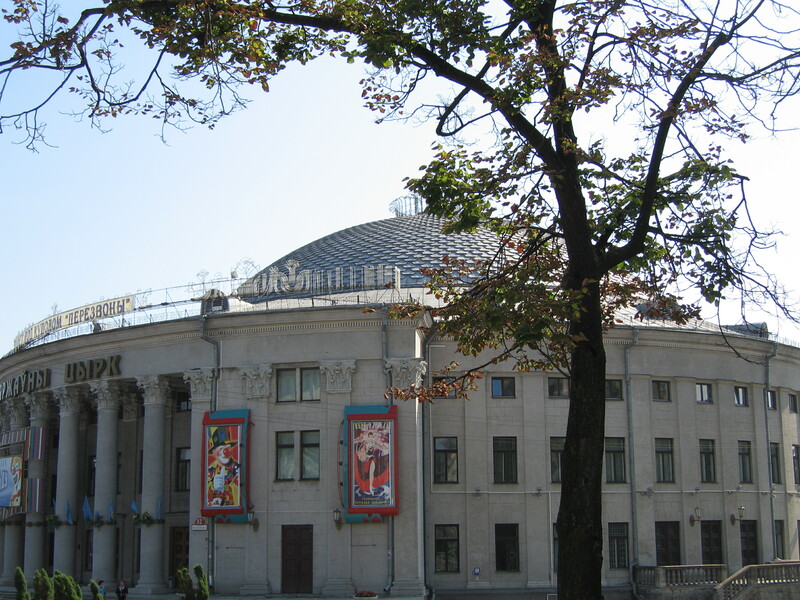 Art lovers might like to spend an hour in the Belarusian Art Museum (Lenin St). See Russian Art from the 18th–20th century, Western European Art from the 16th–20th century and a collection of Belarusian Art: modern works, landscapes and portraits from the 17th–20th century – including paintings of Belarus’ famous Radzivill family – and a fine selection of iconography dating from the 15th century. Alternatively, visit the small gallery under the Palace of the Republic; its exhibition changes regularly. Minsk has several pleasant parks. 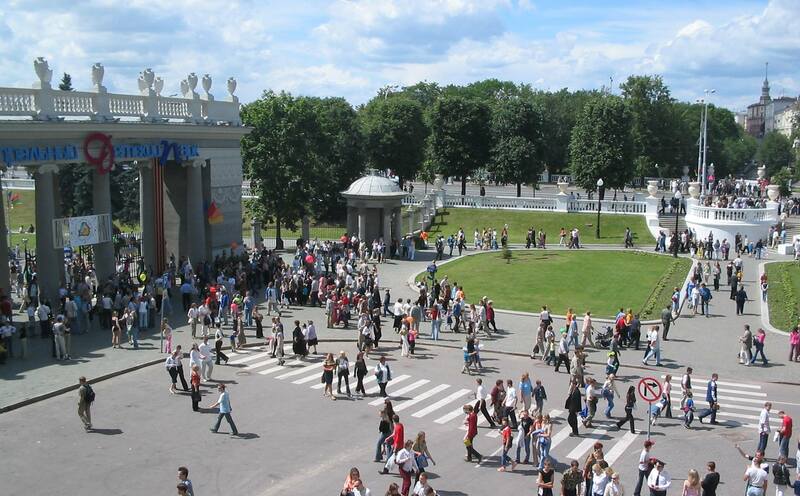 Gorky Park is for children, with costumed dancers and singers often frolicking about. 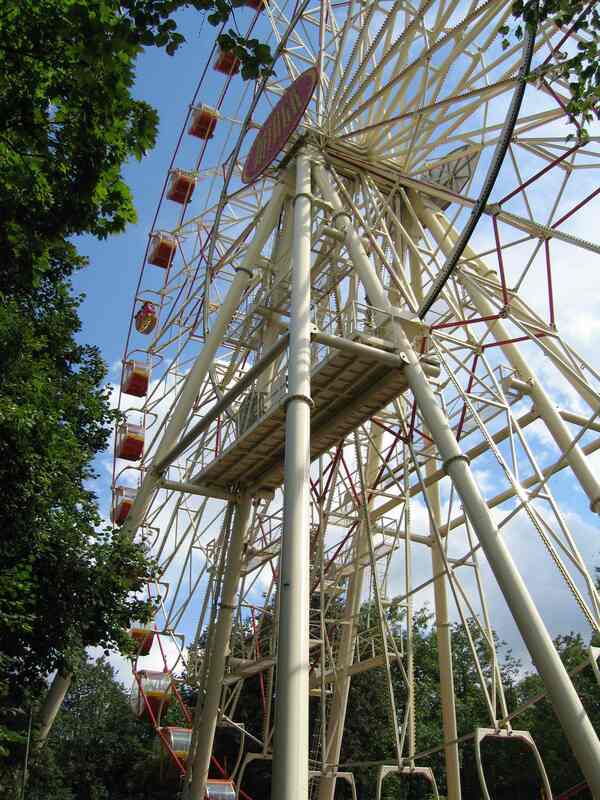 There are fairground rides for all ages – including a big wheel. For a wilder experience, go to the Botanic Gardens. The wooded pathways easily convince you that you’re no longer in the middle of the city. Next door is Chelyuskintsev Park – a huge forested area in which you half expect a wolf to leap out at you. There are no bison in this park. Treat yourself to an elegant lunch at the Parisian-inspired News Cafe or the quaint My English Granny’s Cafe (next to each other in Karl Marx St). You could sample Gurman’s delicious pelmeni ravioli (Kommunisticheskaya St). The stylish Beze and cosy Cafe London – with miniature models of London landmarks inside – are good choices for cappuccino and cake (near the KGB building). 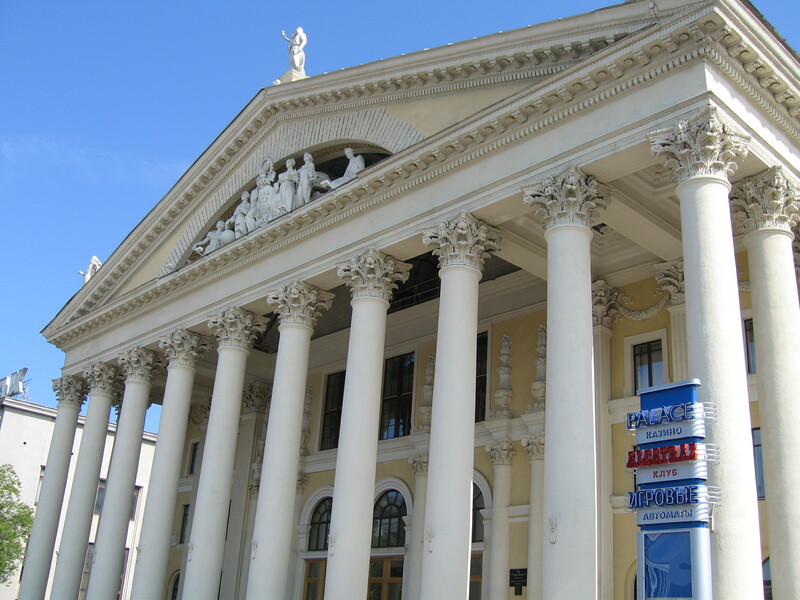 If you are looking for classical entertainment, then Minsk can rival both Moscow and St Petersburg. Consider an outing to an ice hockey match, the circus, the ballet, the opera or the Philharmonic. You can buy tickets from the ‘box offices’ located in the Nezavisimosti underpass next to McDonalds for $3-4. Most restaurants can rustle up a few English menus, albeit with some amusing translations: pork chap, foul breasts, paltry meat or boiled brians perhaps. You can eat well for $20, but wine tends to be pricey. Be ready for a ‘show’ half way through your evening. In Staraya Rusla (Ulyanovskaya St) your traditional Belarusian meal will be complemented by a three-piece band playing local folk music. 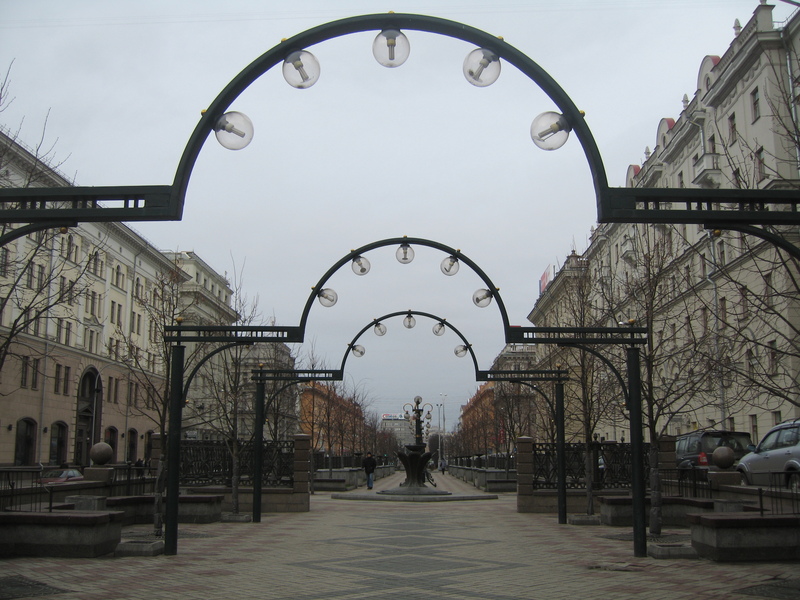 In Singing Fountain (Oktyabrskaya St) lively jazz accompanies tasty Italian dishes and in Astara (Pulikhov St) you may find yourself distracted from your central Asian fare by gyrating lovelies. We were treated to a dance with swords and a lithe acrobat in a catsuit – complete with tail and ears. Belly/exotic dancing is common – so check beforehand if this might upset you. Night-owls will love club Zhuravinka (Yanka Kupala St), while Goodwin’s (19 Nezavisimosti St) draws a large student crowd ready to bop their socks off – their ’80s nights are especially popular. Hotel Belarus’ Westworld Club (aka Sheiber) has a huge dance fl oor for up to 1000 people. The predatory females ensure no single man gets out alive. A rare treat can be had in Alkatraz (under the Trade Union Place) if you fancy being locked in your own private cell – complete with iron bars. The waitresses wear prison issue hot-pants. Most clubs charge $10–15 entrance. The closest Minsk has to a pub is 0.5 U Ratushi (Gertsena St) – behind October Square; brave the heaving throngs round the bar if you can’t get a table. A trip to Komarovsky Market (Y. Kolas metro) is always worthwhile. Outside, the vivid displays of fruit and vegetables are tempting and the aisles of strawberries in summer quite take your breath away. Under cover, you’ll find whole pigs hanging from hooks. Imported fur and leather coats can be snapped up for bargain prices at Zhdanovichi Market (out of town – take a taxi). 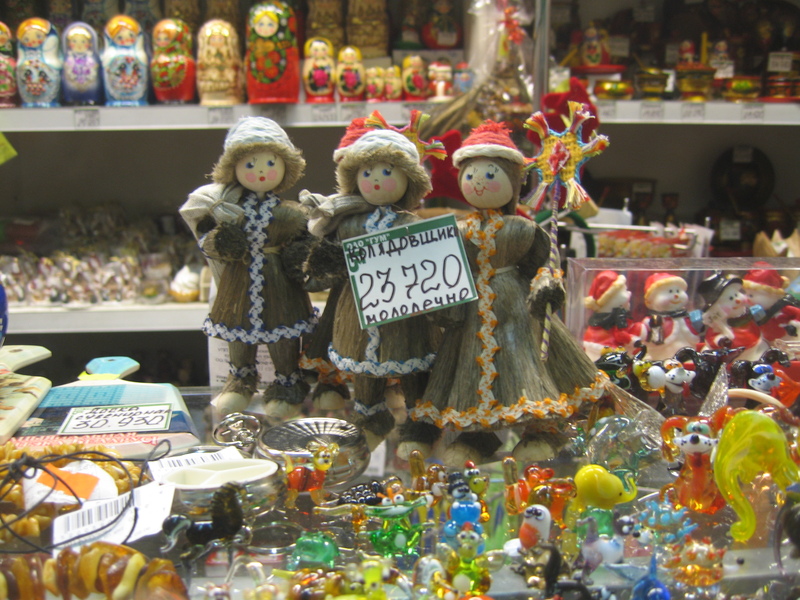 Belarusian woven straw dolls and linen tablecloths can be found in most of the souvenir shops dotted about town. For a reminder of how far Moscow has come in the past 15 years, pay a visit to GUM or TSUM (Nezavisimosti). The women’s clothes department is a breeding ground for see-through polyester and scratchy lace. Luxury isn’t a word that springs to mind when describing Belarusian hotels, but Hotel Minsk is modern and pleasant with double rooms for around $200. Hotel Belarus offers a cheaper alternative ($81–$117). Don’t expect too much from accommodation outside of Minsk. As long as your room is clean and warm and your bathroom plumbing works, be content. The easiest way to book rooms is through a travel agent. The best way to visit some of the attractions outside Minsk is by car. Your hotel can arrange this for you – or contact Top Tour Agency, which charges $0.35 per km for a car with driver. They supply guides at $13 per hour (7 hours minimum). Holiday Tour Agency offers guides at $10 per hour ($60 for 7 hours). ce, cross-bow demonstrations and traditional Belarusian puppetry and plays are scheduled for some summer dates. Numerous legends exist: one prince escaped from pirates in a nutshell and rode a carriage pulled by bears! Famous for his love affairs, he even fell in love with a Rusalka (river mermaid). 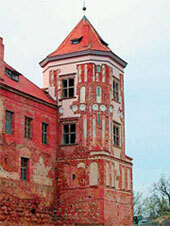 This 13th century castle is built on an island. Take a stroll through Nesvizh’s beautiful parks. The ghost of an unfortunate Radzivill bride – named Black Barbara – is said to roam the grounds at night. Don’t miss the stunning baroque frescoes in Corpus Christi Church or its spooky crypt filled with the mouldering remains of nobles past. Climb the 240 steps for a close view of three huge bayonets, rimmed by an impressive mosaic depicting the horrors of war. These stand on a hill of soil brought from thousands of Belarusian settlements. On 22nd March 1943, all 149 inhabitants of this village were burnt alive by the Nazis, having been locked in a barn – half were children. 617 other settlements shared their fate; 185 have never been re-established. Khatyn stands as their memorial: a handful of soil was brought from each village and a symbolic ‘grave yard’ bears the name of each community. 26 chimneys with bells remain, tolling each hour, while plaques on each chimney list the names and ages of each family member who died. Despite its lush green surroundings, this site will send a chill through your heart. 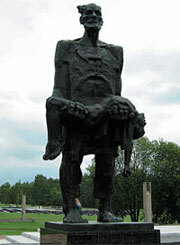 The sole survivor (absent from the village that day) is immortalised in a solemn sculpture; he carries the lifeless body of his son – shot while trying to escape through the burning barn’s window. An eternal fl ame stands beside 3 birch trees, symbolising the one in four Belarusians who lost their lives during the war. 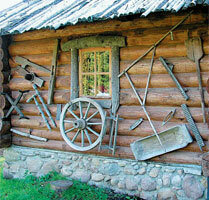 This outdoor folk museum celebrates Belarusian country life. Its old windmill still grinds corn and its craftsmen demonstrate their skills before your eyes. You can help a blacksmith to forge a horseshoe, make your own vase, taste homemade vodka with gherkins, or sample fresh rye bread from the bakery, and milk and cheese from Dudutki’s own dairy farm. Its museum has a display of 18-20th century artefacts. If you’ve enjoyed Dudutki, you’ll fi nd Strochitsy a similar delight. More than a hundred old buildings have relocated to the site and plenty of artefacts are on show. Use an agency to book your hotel – all have their own restaurants. Polotsk is Belarus’ oldest town (first mentioned in 862). It boasts the 11th century Sofia Cathedral and St Efrasinnia’s Monastery (founded in 1125). Both are enchantingly beautiful. Spend the night at Vitebsk’s Vetraz Hotel (double for $50). The main attraction is the Chagall Museum – even though it’s full of reproductions rather than original works. 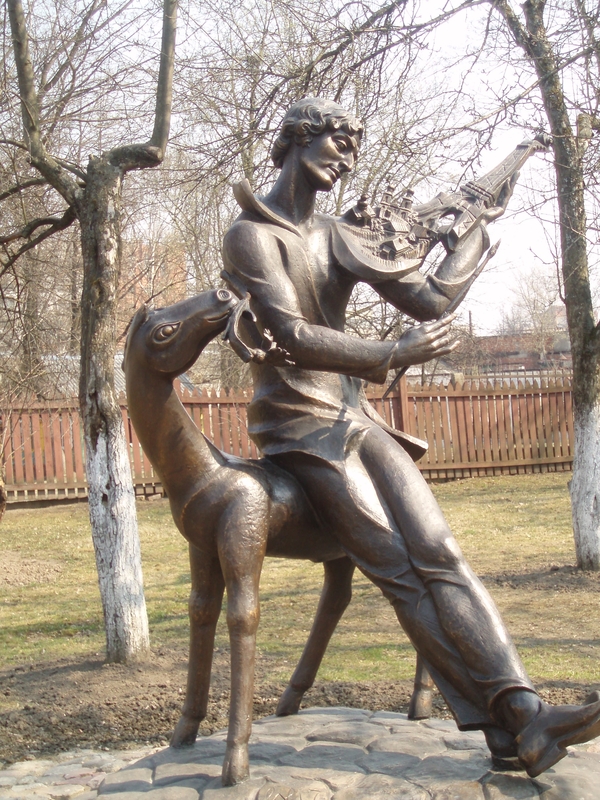 Chagall was born in Vitebsk in 1887. He called it his ‘second Paris’. See his home, the City Art Museum and the old town hall. In late July – early August, the town hosts the Slavonic Bazaar international song festival. Open-air concerts go on to the small hours and the streets hum with activity: book rooms and tickets several months in advance. Wander the streets of this picturesque city, climb the hill to see the Old and New castles and admire Pokrovsky and Farny Cathedrals on Sovietskaya Square. Stay at the Tourist Hotel ($48–$110 for doubles). Pop back into town (5 minutes by taxi) to dine at Mr. Twister, the Retro Pizza place, or Karchma. On the way, stop at Kamanets to see the 13th century White Tower: 30 m high with 2.5 m thick walls. Walk onto the roof for amazing views of the surrounding countryside. 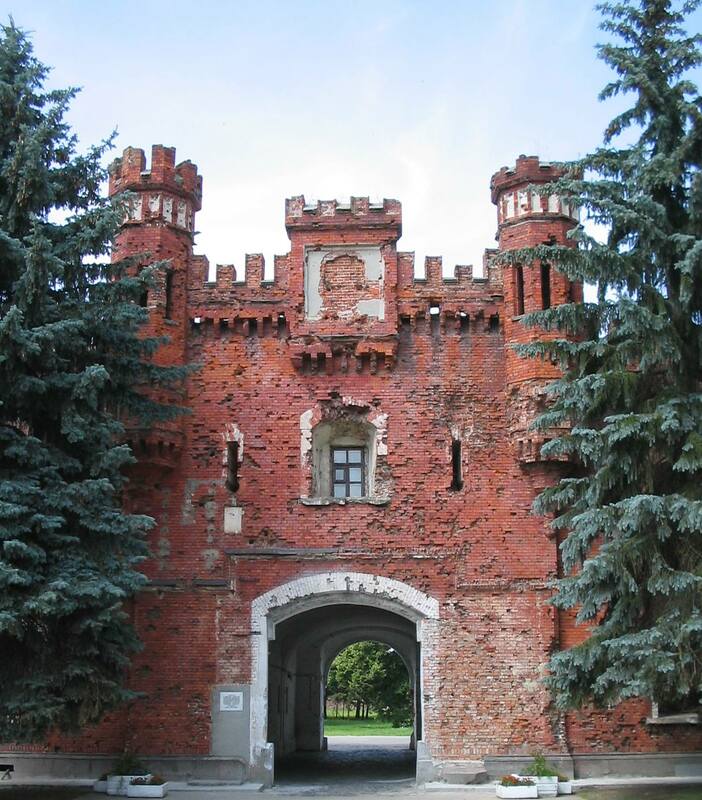 Brest fortress was built from 1830-1842 as part of the Russian Empire’s western defence. In June 1941, the German army poured over the border and Brest became the fi rst place of confrontation; its valiant soldiers endured a month long siege. Those trying to drink from the river, just a few metres away, were often shot; a monument to the thirsty soldier stands there in addition to an immense stone soldier’s head – entitled ‘Valour’. The red walls of the fortress are riddled with gun fire. Stay at the Intourist (double $61) or Belarus Hotel (doubles $55–$68 or half suite for $96). The best place to eat is the atmospheric Jules Verne – located on the corner of Karl Marx and Gogol Streets. The Pushcha is Europe’s last primeval forest, and is not to be missed. It is UNESCO listed, and its biosphere reserve is home to 900 types of plant and 60 kinds of animal – including wild pigs, elk, beavers, otters, wolves, hares, deer, bears and lynxes. The Pushcha is all that remains of a primeval forest which once stretched from the Baltic Sea to the Bug River and from the Oder to the Dnieper River. 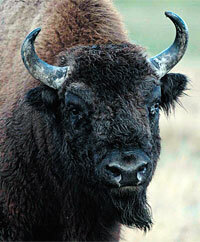 Now for the bison. They are Europe’s heaviest animal, and there are now only 300 of them, a fraction of the enormous herds which used to roam across much of Northern Europe. They are now a protected species, having been zealously hunted by Polish Kings and Russian Tsars since 1409 and, in later years, by high ranking Soviet leaders, including Brezhnev. Looking at them in their unique habitat one really can think that one has gone back to a time when Europe was without its motorways and its high-speed trains. If hunting, shooting and fishing is your thing (not the bison, please), then these trips can be organised from spring to autumn. The Pushcha is a delight for bird-watchers, who may sight an osprey, hawk, golden eagle, eagle owl or a crane among its thriving bird life. 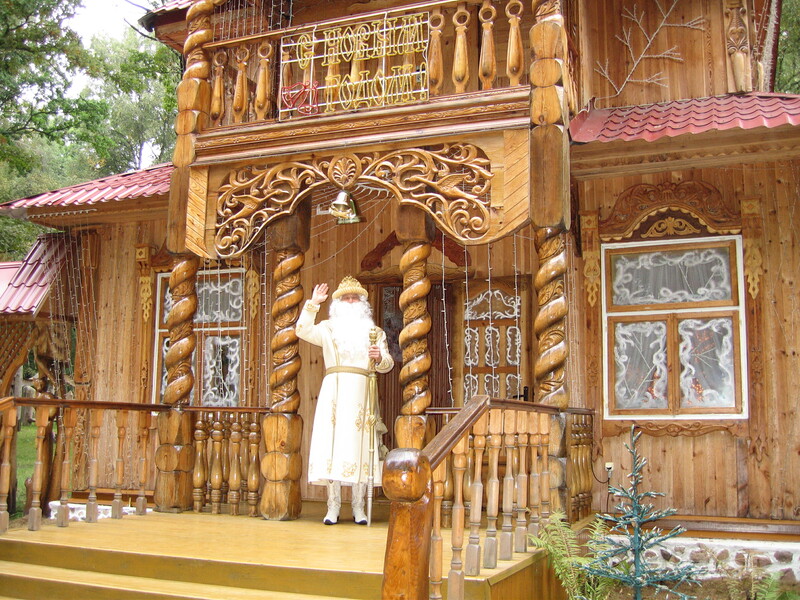 However old you are, don’t miss a visit to Father Frost’s Belarusian home, set in the heart of the forest. It’s open all year; I went on a warm August day and was still utterly charmed. Stay at the rustic Hotel Visculi in the heart of the forest (doubles $50). If you want to get away from your stressful life, then this is the place to come. They have horse and bike riding facilities and can organise excursions into the Pushcha for you. Just down the road is the state residence where, in 1991, the leaders of Russia, Belarus and Ukraine signed their agreement to dissolve the Soviet Union, creating the Commonwealth of Independent States (CIS). On the way back, stop near Slonim to see Zhirovitsa’s glorious 15th-century Monastery of the Assumption. The cathedral houses a Holy Mother icon thought to have miraculous powers. Belarus (White Russia) has very little historical experience of independent rule. 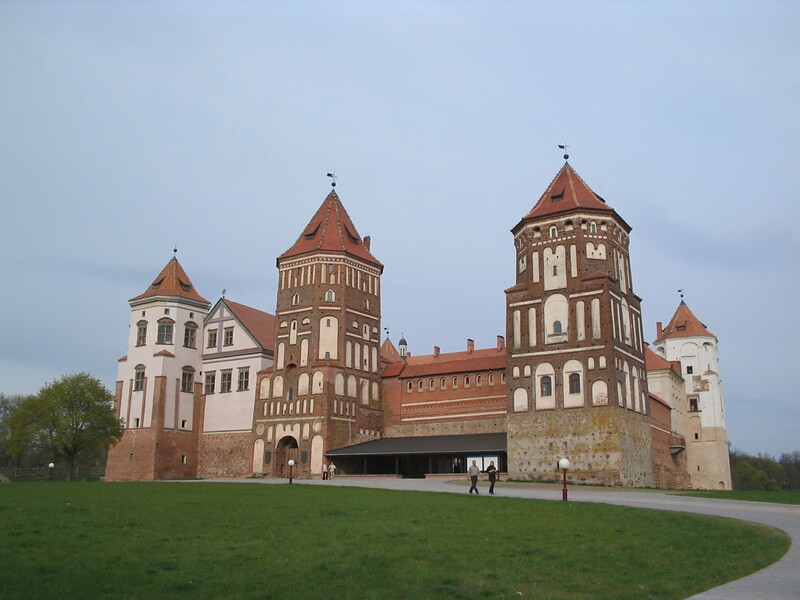 Founded in 9th century Polotsk, it was subsumed by the Grand Duchy of Lithuania in the 1200s and then by the Russian Empire in the late 18th century. Countless armies have marched across its soil. 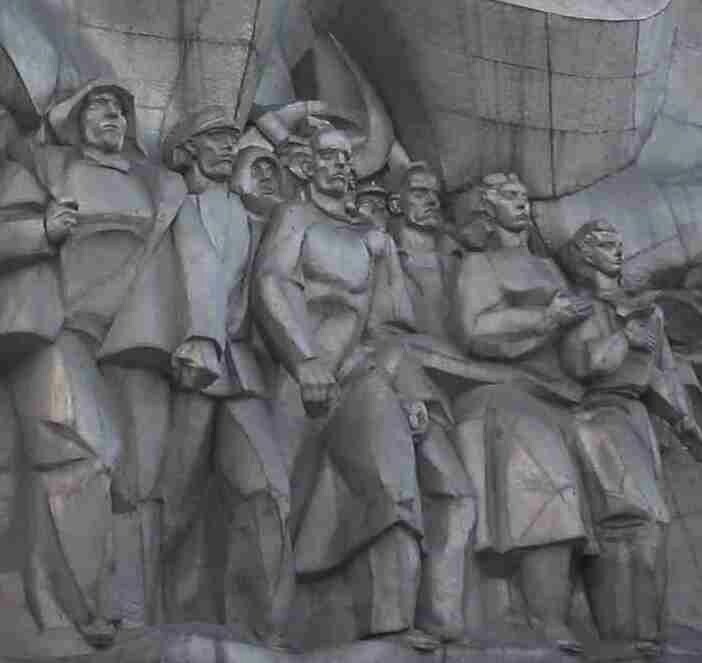 It proclaimed independence in 1918, but this only lasted until 1919 – when the Red Army invaded. In 1921, at the end of the Russo-Polish War, Western Belarus was given to the Poles, only to be retaken in 1939 – becoming part of the USSR once more. Belarus was occupied by Germany from 1941 until 1944. Under the Nazi plan, 75% of the population was to be eliminated. 2.2 million people (just over 25%) died during these years. More than 9000 settlements and 1 million buildings were destroyed; barely a stone was left standing in the capital, Minsk. However, this provided Stalin with the opportunity to rebuild this front line ‘hero-city’ on grand plans as his ideal. In the 1960s, the Soviet Union’s Russifi cation policy dealt a death blow to the Belarusian language. In 1986, at least 70% of Chernobyl’s radioactive cloud fell on the unsuspecting Belarusians; one third of their land remains polluted. 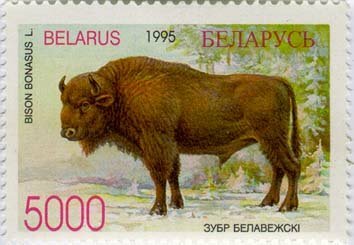 In August 1991, as the Soviet Union broke up, Belarus declared independence and re-instated Belarusian as the official language. 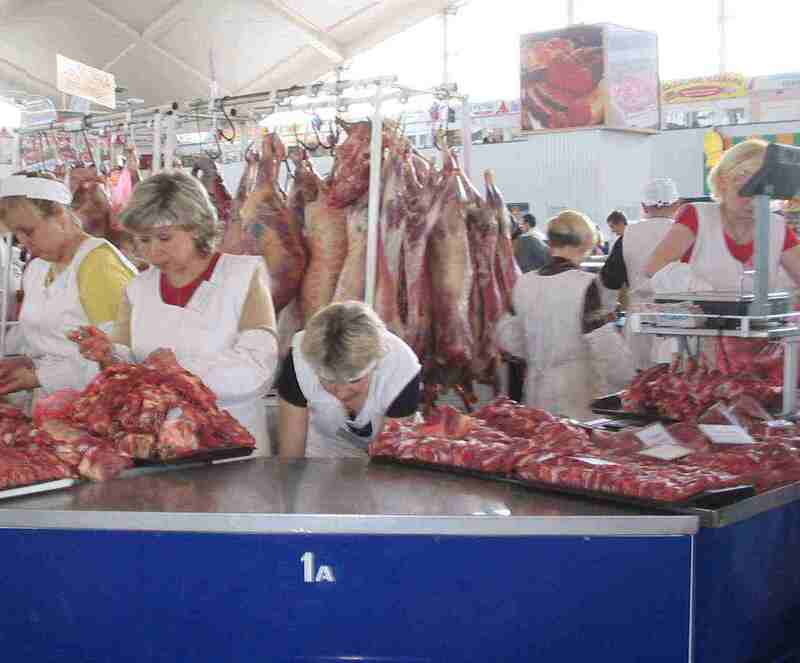 However, in 1995, a co-operative pact was signed with Russia – with Russian restored to its former status. In recent years, Belarus has taken further steps to cement its relationship, working towards a Union State. That all went out of the window in January of 2007 when the two countries had a stand-off about the matter of energy prices. June and July are the sunniest months and there’s no need to worry about overcrowding. Although winter is beautiful, road conditions outside of the capital can be off-putting. 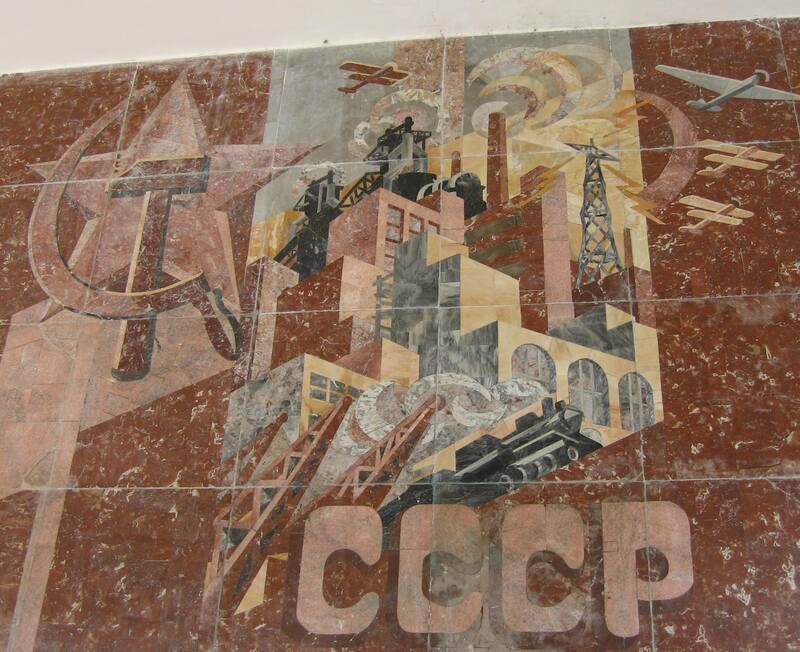 Taking the overnight train from Moscow is a good option. Book the most expensive compartment – worth it for privacy and comfort: $300 return for a twin. 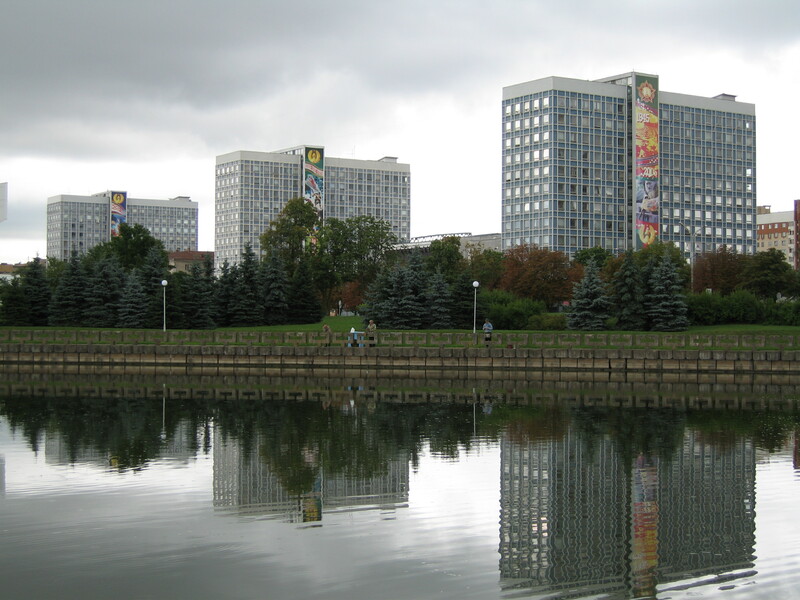 This brings you conveniently to the centre of Minsk – a short taxi ride from your hotel. Return flights from Moscow with Aerofl ot /Belavia cost around $250, but you’ll need to arrange a car to pick you up from the airport (45km). Russian citizens can travel freely across the border, but others need a visa. Visit www.embassybel.ru to find out more, or ask a travel agency to make arrangements for you. Both can organise your visa, car, hotel rooms, excursions and guides. They also offer their own group tours.